If you want to see the benefits of activation of the vitamin D receptor, how to increase it and related SNPs, see this post. The Institute of Medicine (IOM), one of the most trusted medical organizations, was asked by the US and Canadian governments to assess the current data on health outcomes associated with calcium and vitamin D. The IOM isn’t like the FDA, which is partly a political organization and shouldn’t be trusted if history is any guide. They formed a committee of experts who did an exhaustive review of over 1000 studies and listened to testimony from scientists and stakeholders. Their report, issued on 11/30/2010, concluded that the evidence supported a role for these nutrients in bone health but not in other health conditions. The IOM concluded that the average daily requirement is 400 IU (R). 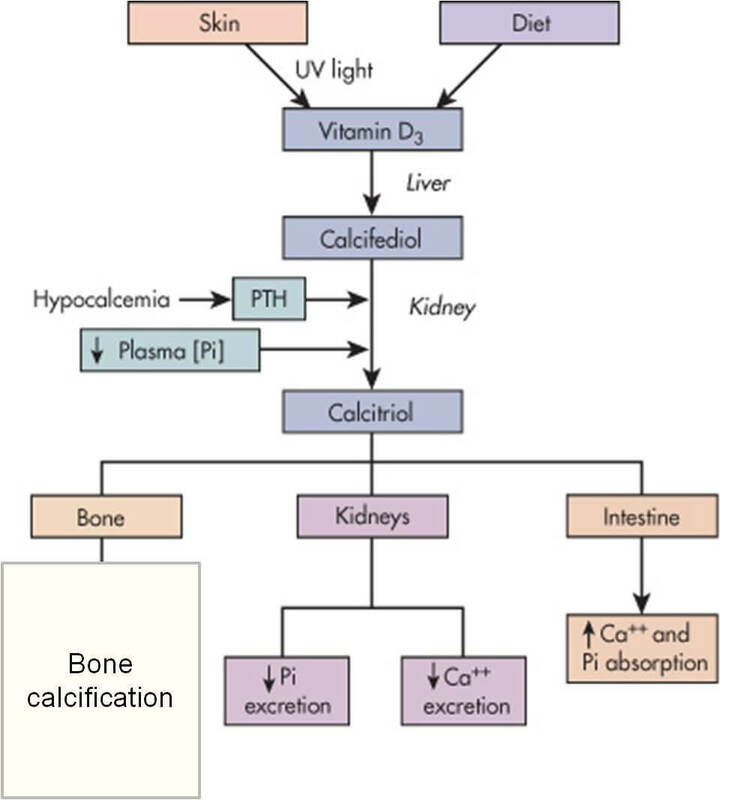 They say that the majority of the American and Canadian population is getting enough of both vitamin D and calcium, and that there is emerging evidence that an excess of these nutrients may be harmful (R). Myopia is a serious problem we humans deal with. We ignore the complexities of life and disease and we focus on one ‘cure’. We take something good and assume more is better. Our brains are wired for this. My advice is to be very skeptical of anyone that doesn’t present many sides or the complexities of a matter. It doesn’t matter what your theories are, if clinical evidence is contradictory then it means we’re missing some information. You’re welcome to experiment on yourself, but the fact remains that it’s not as beneficial as we think. A 2013 review published in the Lancet looked at 172 randomized trials of major health outcomes (R). They found that there was a moderate to strong association between low vitamin D3 concentrations and cardiovascular diseases, cholesterol, inflammation, diabetes, weight gain, infectious diseases, multiple sclerosis, mood disorders, declining cognitive function, impaired physical functioning, and all-cause mortality. High 25(OH)D concentrations were not associated with a lower risk of cancer, except colorectal cancer (R). However, results from intervention studies did not show an effect of vitamin D supplementation on disease occurrence (R). The only minor benefit was supplementation in elderly people (mainly women) with vitamin D per day seemed to slightly reduce their risk of dying (R). The study concludes that low vitamin D3 is a marker of ill health (R). Inflammation reduces vitamin D3, which explains why low vitamin D status is reported in a wide range of disorders (R). I believe that much of the benefits in people who have adequate vitamin D3 levels has to do with the fact that they’re getting sun and its associated benefits. However, the flaw in thinking of this review study is that all because vitamin D supplementation doesn’t cure or help a disease when it’s underway, it doesn’t mean it can’t help prevent it. So I believe you should have adequate levels in the long run to prevent disease, but based on the review, it likely won’t cure your disease. I’ve never seen it cure anyone. Interestingly, another study found that blood levels of inactive supplemental vitamin D3 were not correlated to products from gene expression that fight infections (cathelicidin or beta-defensin-2) (R). I’ve been researching if there’s any benefit to having vitamin D levels over 40 ng/ml and I’ve come up empty. If you look at the picture above, you’ll see there’s a correlation between vitamin D3 and active D up to 100nmol/L (40ng/ml). After that, it’s irrelevant. People take vitamin D pills without realizing that it’s the active vitamin D that matters – calcitriol (1,25). And even if you have adequate active vitamin D, it only matters how well it binds to its receptor – the vitamin D receptor. After 40ng/ml there’s not really a correlation between vitamin D3 and calcitriol. Below that low levels of D3 are good at diagnosing a deficiency. Dr. Perlmutter recommends to have your levels at 80ng/ml and Mercola says under 50 ng/ml is a deficiency, but I see no evidence to support these recommendations. It’s often the case that there are high levels of active vitamin D in autoimmune disease (R). Conditions with high active D include AIDS, Candida, Rheumatoid arthritis, Wegerner’s, Hodgkin’s, Lymphoma, Leukemia, and Myeloma (R). This might seem paradoxical because it’s supposed to be great for autoimmune disease. It’s believed that bacterial infections cause resistance to the active vitamin D by binding to its receptor (R). So the body makes more of it. This is why the active vitamin D (calcitriol) is actually HIGH in many autoimmune diseases – because the bacterial products cause resistance. When Calcitriol is too high, some people say it actually inhibits VDR activation and decreases the number of receptors (Dr. Marshall), which will then cause autoimmune disease (R). Hence, high levels of the hormone are immunosuppressive (R). However, I’ve found evidence that active D can increase VDR expression (R). I haven’t found a source for high active D inhibiting VDR activation and this is also contradicted by the above study, which gets good results from using a synthetic VDR activator (agonist). According to Dr. Marshall, too much active D can compete with other important receptors and prevent the binding of thyroid hormones (T3), cortisol and testosterone to their receptors, which cause resistance to these hormones (R). I wouldn’t be surprised if he’s correct because the VDRs and the Thyroid Receptors are very similar (R) and active D can certainly compete with it. Therefore, long-term supplementation of vitamin D may not be a good idea, especially at a high dose. Vitamin D3 is structurally similar to Calcitriol and therefore it can compete with it and block it. So it’s possibly harmful to take too much. I haven’t noticed any benefit to increasing my vitamin D dosage, except an antidepressant effect when taken in a massive dosage. But this is only felt the same day. Vitamin D competes with other fat-soluble vitamins, so excessive dosages can imbalance them. Interestingly, Vitamin D supplementation decreases klotho, which increases IQ and longevity (R). However, this study was done in a group of dialysis patients, so it’s unknown if vitamin D would have the same effect in healthy people. If it does, this would be considered bad. Note: Some scientists seem to overturn this idea and think that activation with binders that have less of an affinity for the receptor isn’t problematic. See this post. You can request that your doctor test your vitamin D. Conventional doctors will look at high or low vitamin D levels and not mention anything. Sometimes, a lab result may be in the reference range, but not actually be in the optimal range. Reference ranges are not the same as optimal ranges. This is why even vitamin D in the ‘normal’ range can be unhealthy and indicate that certain processes in the body aren’t optimal. I’ve spoken about my shift away from RDA thinking into whether I can benefit if I have more than the RDA. I always took vitamin D3 in a normal dosage – about 1,000 IU a day. My blood levels are good (43 ng/ml) and I get a lot of sun. So I’m not worried about a deficiency. I’ve also seen studies done in tribes who get traditional amounts of sun and it was around my blood level. I never noticed much from 10,000 IU, which is the most I’ve taken at once. The upper limit set by the IOM is 4,000 IU. I never took more because there’s no ‘scientific evidence’ that raising my blood levels from ~40 ng/ml to more than that has any benefit. According to the IOM, when you start going over 50 you possibly increase your risk for cancer by a bit. I decided to see what taking more than the RDA can do. I decided to do a mega-dosing experiment. Normally, I only put herbs through my experimental ringer by upping the dosage until I feel something. However, I decided to revisit all of my vitamins and minerals and see what they do at a high dose. I’ve already experimented with mega-dosing probiotics, and now it was Vitamin D3’s turn. So I decided to take 150,000 IU. This is a lot, but not close to the 2 million that Gary Null was scarfing down for a month – by accident. At this dosage, I noticed a significant anti-depressant and anti-anxiety effect. I found it very relaxing. It also gave me a bit of a boost and it seemed to benefit my eyes. I wouldn’t take this dosage daily, but I’m glad that I did the experiment because I have a better idea of how it affects me. However, I didn’t notice any difference the next day or thereafter. It seemed like it was just a temporary boost. Since I don’t notice a long-term benefit, I’m going to pay attention to the science. The science doesn’t show any benefit for people who already have over 40 ng/ml. I’m a big proponent of paying attention to your body and less to the background noise i.e. the clinical ‘scientific evidence’. I’ve found better health outcomes for myself when I ignore it and turn to self-experimentation that is based on the fundamentals of science. This means I look at how the body functions and experiment based on that. I tweak accordingly. In situations where I can’t subject things to such tests or can’t notice a difference, I look more closely at the scientific evidence. If something helps you then do it and ignore what anyone says. However, you obviously should pay attention to toxicity studies and not go crazy with it. I use the IOM to know what dosage can be harmful in the long run and they’ve found this to be 4,000 IU, which is why I don’t suggest taking more than that. There are some benefits for not being deficient in vitamin D. Under 30 ng/ml is considered a deficiency. If you are over 40 ng/ml you have more than enough. I like to keep my level at 40 – 50ng/ml. I see no reason to increase it and only potential downsides. When I get sun, my levels are in the low 40’s (ng/ml). Cindy, you did not maintain a daily or weekly dose? Why not? (Your Vitamin D levels would drop again then). It would make sense right? PS always join it with Vitamin K2 to ensure you don’t get artery plaque in the long run. 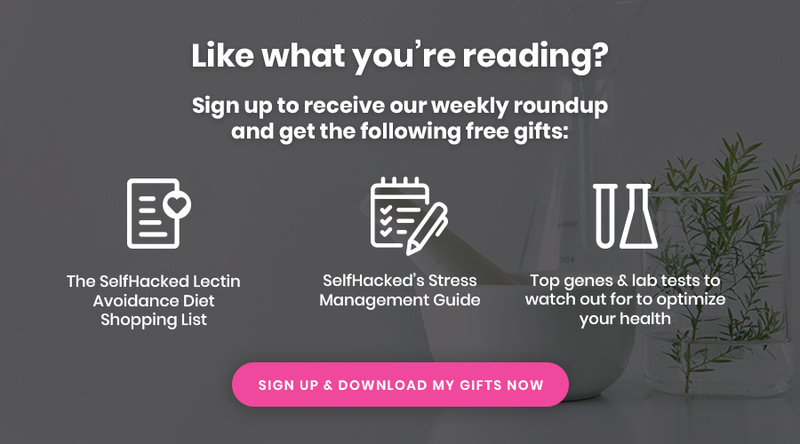 “I noticed a significant anti-depressant and anti-anxiety effect.” – this would seem to be because you raised it to a high enough level in a short period. To then lower it again (by taking a sub-par daily IU?) would not seem to make sense. How much do you take now. Colby is completely full of it. 9 months ago my vitamins D3 level was deficient and I was instructed by my doctor to take 50,000 I/U per week for 8 weeks straight once I was done with taking the vitamin I started to have adverse (MS-like) reactions. I had bouts of anxiety, muscular pain and weakness, blurred vision, tingling of the extremities, dry hair, fatigue, joints that popped and cracked, trouble sleeping at night, etc. I had a multitude of tests done (including MRI’s & CT Scans) and I do not have an autoimmune disease. I’m still dealing with some of these issues till this day, not as badly, because my D3 is dropping. I came to the decision to get my vitamin D3 naturally, from the sun. Did anybody had a situation similar to mine and if so, how long did if take from their symptoms to resolve? Hi there, I know this post is old, but I am.currently struggling with all you have mentioned after taking 4000 IU for a week. I feel extermely anxious, cant sleep, am having tingling and numbness throughout my body, and other very real feeling MS like symptoms. Did you ever fully recover and feel better? Thank you for sharing your experience. Sorry Michael for not replying previously. Actually in my sons case ,the diagnosed biochemical abnormalities are , lactic acidosis, glutathione deficiency, elevated homo cysteine, cholesterol deficiency, SIBO, lymphocytosis with eosinophilia. Many amino acids in blood are on lower side. Based on the available knowledge, we are not clear how vitamin D supplementation overcomes all these problems. Currently he is on NAC, DMG,L-carnitine,mB12,ALA,BCAA & L-citrulline. I’ve been taking 40000 IUs a day for about 5 days, plus a vitamin K1 and K2 supplement with this, and a zinc tablet. I’m doing this to combat a psoriasis flare. Seems pretty effective. Skin is healing, dry skin flaking off. Less splitting of skin. I’m going to do it until the psoriasis has gone. I’m also doing turpentine parasite cleanse. Boron can increase vitamin d levels by 30+% with just 3mg a day and that’s in the winter. Taurine helps absorb vitamin d properly, K2 of course too, consumed with fat, as Vitamin K2 and D are fat soluble. I have had many negatives with vitamin d supplementation; even in the low dosage of 1000 iu, even with vitamin k2, magnesium, calcium, vitamin a, etc. I would get the pro-testosterone effects and enhanced performance, but calcification in the shoulders usually. Retrying it with taurine and so far many positives. Hopefully it keeps this way. Have you tried checking out GrassrootsHealth who are running a large scale study to see the benefits of supplementing with Vitamin D3? Thousands of people are participating in this study with the objective of raising blood serum levels to 40-60ng/ml with levels checked twice a year. Their research shows that vitamin D3 does in fact reduce incidence of disease. Here I am sharing my experience of Vit-D3 in my 20 yr.old (60kg weight) autistic son. the level of serum D in my son and it came out to be 29ng/ml. I do check my sons serum levels of vit D every six months. The observations are as follows. If not supplemented vit-D3 regularly, his serum levels hover around 29 ( winter ) to 35 ng/ml (summer). Supplementation of Vit-D3 of 5000IU/day along with 20mcg-K2, serum level of Vit-D rose to 75 ng/ml. Past observations is that , while on 20000IU /day he stopped getting violent attacks, which otherwise he gets regularly once in a week. He becomes extremely violent,hits his head by his hands,sweats profusely with very high pulse rate. I suspect ,It is some sort of anaphylactic attack in brain , which lasts for about 10-15 minutes. Un supplemented low level of Vit-D has been attributed to chronic low serum total cholesterol of 100-120 mg/dl while normal range is from 125-200mg/dl. Methionine loading test of homocysteine, and finding of chronic glutathione deficiency by OAT, it has been concluded that trans-sulfuration pathway is impaired. Currently (as it is winter here in India ) he is on NAC-600mg/day,ALA-200mg/day Vit D3 15000IU/day with K-2, 25mcg &magnesium citrate of app.1000mg per day. The aim is to touch 85ng/ml which could not be achieved in past with consistent high dosing of D3. From last 5-yrs of vit D experiments my general observation is that when supplemented with high D3 he is more comfortable. The “Marshall Protocol” can explain why your 25-D levels are so low. Your weak immune system is converting much of that to 1,25-D but your Vitamin D receptors might be blocked by capnines. Despite the fact that this thread is quote “old”, i would like to aks whether there are any new experience on Vitamin D/Coimbra protocol! I suffer from multiple sclerosis, live in Germany and presently there is a real “hype” re Coimbra. People make long travels to doctors trained in this protocol, in Brazil. I have doubts. It reminds me of the former hype regarding CCSVI/Zamboni where many spent thousands of Euros to have stents in their jugular nerves. Now this hype is over! I had levels below 10, then got Decristol once a week and levels increased considerable to approx 50. Then, despite summer, i did not take it anymore and the value was down again. When taking it, in my opinion there was no effect on mood, depression, fatigue or ms symptoms. Would appreciate your opinion and news. Thank you! There are a lot of testimonials on this site too. I have Multiple Sclerosis and I’m following this Protocol it worked very well. So, I know I am a bit late to posting, but I wanted to comment because recently I’ve been experiencing a bout of weird symptoms associated with taking D3 in high doses (although I had not taken high doses for a lengthy period of time). Based on my research, given that I am black, live in Chicago, overweight and work for a law firm, I figured it would be wise to take Vitamin D3 in a large dose in order to combat a possible deficiency. Before even taking a test, I assumed it would be best to take a huge dosage anyways given my background and recent bouts with anxiety. Nonetheless, I started off taking 5,000 IUs for a week and then upped the dosage to 10,000 IUs for another week. Then one day, I started to feel lethargic, fatigued and anxious. Did some homework and it turns out you need to dose with magnesium, vitamin K2 (mk-7) and some other co-factors to avoid possible side effects of high vitamin d supplementation. Despite taking some of the co-factors, my side effects never really went away. Magnesium partially helped, but some of the other side effects (weird hot warm sensations that come and go throughout my body, tingling, fatigue), have remained. I stopped taking the supplement last week and I still feel weird. D3 apparently has a huge half life and it could take weeks before the supplement runs its course in my body. I managed to get tested in the midst of all of this and my levels are “insufficient”. Currently, they are at 22.3 ng/mL. After seeing a doctor, she’s convinced its anxiety and not the D3 supplementation, but if anecdotal evidence can suffice to make an argument against D3 supplementation, doctors should be aware that there are a lot of self-reported cases of people having bad reactions to D3 supplementation on the internet. I cannot wait until this stuff clears out of my system because now I am convinced that these advocacy groups that are pushing Vitamin D3 supplementation are doing more harm than good. It’s pretty alarming too given that D3 technically is NOT a vitamin, rather a secosteroid. Also, I don’t think my doctor is aware of the fact that D2 has a MUCH shorter half life (2-3 days) than D3 (2-3 weeks). Maybe its anxiety, maybe its not. But these symptoms did not start until I started taking D3. If anyone sees this post, I caution them to get D naturally from sunlight. Obviously this can be challenging, but I’d rather deal with the subtleties of low vitamin D3 levels versus having heightened, weird MS/autoimmune-like side effects while supplementing. Try vitamin A and calcium. The tingling is a giveaway for hypocalcemia. As well as the fatigue. You have to understand that taking D3 will increase the need for calcium. Note that this is another way to look at D3 increasing calcium uptake from the gut. It’s that D3 makes your body hungry for more calcium, hence the increased uptake. But if you aren’t consuming enough calcium, more can’t be absorbed and you’ll run into low calcium issues. Vitamin A is also needed in certain amounts when dosing higher with D3, they’re like a tandem; you need both for a lot things. You’ll have to figure out how much on your own. It depends on what else you’re taking. – add in the D3 again at a 1-1 ratio with A. So 10000IU of both. – add in the K2 again. Note that this increases the need for D3. Also of note is that less K2 is needed when taking A along with D. Since the K binding proteins do not become malformed when sufficient A is present. Hence taking K2 ‘protecting’ from D3 ‘toxicity’ which in reality is a vitamin A deficiency. If you’re really serious about doing this longer term (which you will if you get everything right and feel the benefits); add in a trace mineral complex and multi-vitamin. Likewise my own experience (CFS, a ton of pain) is a lot better/gone with higher doses whereas anything below 10000IU is not enough. And yes, some of it is related to VDR issues, hence the need for a higher dose to elicit the same response. Same with some doctors who have ‘cured’ CFS with higher doses of D and calcium (along with all cofactors). People need to understand that this is just not as simple as taking one thing or taking a few cofactors. There is no half measure here. You have to do it right to get the benefits. You’ll run into serious issues otherwise. Yes, this is, due to a lot of nonsense out there, very complex. Respect your body and its mechanisms. You don’t try to drive your car without oil or tires either, right? Also of note: boron is highly beneficial as well. Taking boron will increase D in the blood. Mechanism is likely to be decreased breakdown of D.
Great that you are able to cure your CFS! I am very much impressed with your experience as well as your knowledge. I am curious: 1. Are you still on this 10,000iu or above regimen after cure? 2. I would like to hear your input about vitamin B group if possible. Well, I wouldn’t dare to claim I’m cured yet. Still refining everything around the ‘high’ D3 dose which is serious business in itself (for my case). But yes I’m still on a high dose of D3; 30000IU at the moment to be precise. Been above 10000IU for more than half a year but big gains only showed up when going up to and above 15000IU. Heh, well necessity has forced me (and a lot of other people) to solve this on our own so…yeah. Luckily I seem to have the brain to absorb all this stuff 🙂 and I’m not afraid to experiment. Have nothing to lose anyway. Hmm what do you want to know about the B vitamins? You probably want to know more about methylation related supplements like methylfolate and methylcobalamin? Or something else? I just started my first 10k D today, I am still alive…..Yes, I have a load of questions and hope Joe understands I need some privacy. My email is jingtennis at yahoo. I would like to chat but never done it. The vitamin D Council shows in this example why the active form of vitamin D 1.25 hydroxy will vary inversely with the calcium intake and how taking high doses of D3 with out calcium can in fact cause osteoporosis. I guess you didn’t look hard enuf for a standard high range of D3. Dr Stasha Gominak, neurologist tested for the optimum range of D to be 60-80 ng/mL. Interesting, but this in not a clinical trial. I had Chronic Fatigue Syndrome. During my research into natural antivirals, the impact of Vitamin D-3 came up with many users supporting the concept that vitamin D-3 at high doses of 10,000 IU to 50,000 iu daily over several months provides very strong immunity or anti-viral action against both the HSV-5,6,7,8 family of viruses, and also provides anti-viral action against the secondary infections respiratory that occur to CFS patients. Naturally this was proof based upon user testing and not an established study, but after reading many well written user experiences with details of dosages, I was convinced of the value of Vitamin D3. Next step was taking them at 20,000 iu per day….but felt little benefit over a 4 month period. Then finally in 2015 I came to the conclusion that maybe it was not being absorbed properly in my digestive tract. So this time, took five capsules of 10,000 iu each and blended them with orange juice in an electric blender. Now finally I could feel in impact on the same day; my viruses were definitely disappearing at this Vitamin D dosage to bloodstream, and my foot pains that were probably bone related, started finally healing up in a matter of days. I don’t recommend these dosages for over 1 month, but if you have many viruses, try this method. Conclusion: High Dose Vitamin D-3 meaning 20,000 to 50,000 iu , if of proper quality, does have immediate impact in terms of anti-viral action. I am a 225 pound man so dosage is weight dependent in general..
Before that home test I had checked my blood levels and found only 19 ng/ml which was a big surprise to me, as I am frequently in the sun and was taking Vitamin D supplements so assumed that I was above 75 ng/ml …but I was wrong..
You brought many interesting points, but I am curious if you were up with calcium, magnesium, A and others that MACGYVER mentioned during your successful mega dose D therapy? There is a risk for hypocalcemia, don’t you agree? Late to the party … Around November–near NYC–my right hand fingers swell up, “sausage finger” they call it, including joints which after several years of this, have become modestly deformed in one finger. The first year–before I figured out it had to do with Vitamin D-less winters in NY–was the worst, and one by one, each finger got swollen, red, painful. The following fall I had my D tested, and it was 26. 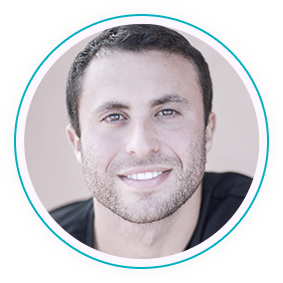 I began taking 5000-7000 units / day and saw improvement–in January–after 2 weeks. Winters thereafter I have been able to ward off a certain percent of swelling by taking at least 5000 units of D / day starting in November. Yet the condition persists to some degree thru the winter, until spring, when it all but disappears. This seems to be a rheumatoid arthritic condition, associated with old injuries (to my handyman hand) and aging–I’m 67, was 63 when it began. I think there is more to this condition than just D deficiency, but can’t figure out what. Liver or kidney problem, I guess. The Marshall Protocol seems harsh–not as much about vitamin D as it is about taking low dose anti-biotics for a year or so. Prefer not to. Can anyone point me in a direction to research what is causing this (autoimmune) problem in my fingers? Or, moreover, what besides taking moderately hi-dose D, I can try? Thanks much! You mentioned that “Vitamin D3 Can Compete With the Active Form.” I am having a hard time finding a source for this. I gather it came from the Marshall Protocol folks, but I can’t seem to find where they said this. Furthermore, I can find at least one old study that clearly says that cholecalciferol does not compete with calcitriol, at least in the guts of chicks. “Rs7041 – vitamin D levels were reduced by 25% in homozygotes (p<0.0001)"
Which is the risk allele? Homozygous for which allele? I’ve got a lucky situation regarding KLOTHO (KL-VS Rs9536314). I’m TT, and my wife’s GG, while GT is best. We will soon have fraternal twins, and they’ll be lucky GT carriers, which is best for IQ and longevity. It’s a little strange to me to see heterozygous be the best case, like there’s some lock & key relationship. I’ll be eager to see your Klotho article. Keep up the good work. There’s some kind of mixed results about KLOTHO. This study suggests supplemental D3 actually increases KLOTHO. KLOTHO should be interesting, due to it’s IQ/longevity relationship. I have VDR-Taq, which lowers my blood vit D. My natural blood levels are less than 20ng/dl, unsupplemented. At 5000 IU per day I got near 40ng/dl, but still insufficient. Now I’m on 10,000 IU/day to see if I can get above 40ng/dl or 50ng/dl. Also, I understand that the toxicity from high Vit D is associated with Vit K (or K2?) deficiency. Vit causes calicification problems unless Vit K levels are also sufficient (prevents calicification). “Results: ANOVA of matched pairs (n=29) showed significant (p<0.0001) between-group differences in 25(OH)D levels post treatment 69.3(4.3), compared to insufficient levels at baseline 20.9(1.2) and to sufficient controls 42.0(10.6). The results for Klotho showed a mean increase of 75.3 (33.0) circulating Klotho levels in the treatment group (p=0.03), which approached significance (p=0.07) after adjustment for multiple comparisons with Tukey's test, between-group differences all p>0.05. Non-significant changes in levels of 1,25-(OH)2D, Ca, Pi, PTH and FGF23 were also observed. 50-60 is the sweet spot. So I’m comfortable with my 61ng/ml @ 7142 ID D3 per day. May trim it a wee bit. Homeostasis is at 45 anyway so the little extra juice must have some minor benefit. The author of this article http://www.westonaprice.org/our-blogs/cmasterjohn/are-some-people-pushing-their-vitamin-d-levels-too-high/ says research shows that 30-35 ng/ml is the sweet spot. Very well done. Excellent article and fact finding. Would like to venture the following known animal self-medication fact for your readers: When sick, animals are known to rest on the ground in the sun for long periods, even if the ambient air temperature is already high enough to maintain a sufficient body temperature. In other words, the animals such as sick dogs, cats, horses, donkeys, wild animals such as Lions……..will purposely stay away from shaded spots and prefer staying for long hours under the direct sun. It seems that this is a method of generating high values of Vitamin-D which has some medicinal effect on the animals, or it may be the Ultraviolet radiation reaching the blood vessels near the skin which has an antimicrobial effect. I say this because the animals stay in the direct sun even under extremely hot weather and the sunlight heat energy is not needed to replace metabolic energy needed to maintain the animal’s body temperature. Hi I was just wondering what is your opinion on this paper that suggests that long term use of Vitamin D supplementation above 21ng/mil may actually be harmful. Thanks! Great find. I don’t know what to make of this. My recommendation for 30-50 ng/ml still stands when I look at all of the evidence together, but we see we should be careful about listening to the people recommending 50-100ng/ml. “In conclusion, from this cohort of asymptomatic adults, independent of traditional cardiovascular risk factors, we observed a statistically significant inverse relation between 25(OH)D at levels <21 ng/ml and CRP. 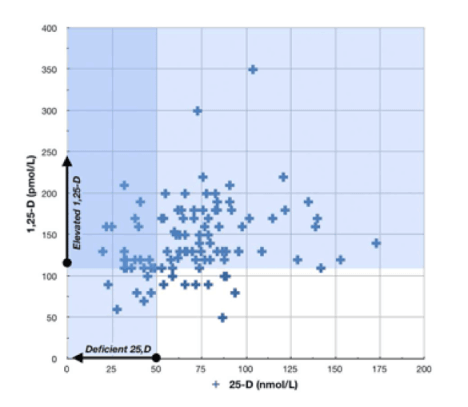 We found that 25(OH)D at a level ≥21 ng/ml is associated with an increase in serum CRP. It is possible that the role of vitamin D supplementation to reduce inflammation is beneficial only among those with a lower serum 25(OH)D."
There’s ample evidence that higher levels are beneficial for MS and other autoimmune conditions. Dr Cesar Coimbra’s protocol is daily supplementation of 1000 IU per kg of body weight. He’s treated over 3000 people with a 95% cure rate. “Cure” is a subjective word, if I would even believe him, which I don’t. Thanks! Interesting, but the people started out as deficient and this study doesn’t compare it to a low dose vitamin D group, so this study is not a good one in my opinion. It also mentions that high doses are only needed if you have certain polymorphisms. I’m not waiting for the perfect study. I have MS and have boosted my D level by taking 20k per day for 2 months. Currently at 10k per day, and waiting for my test results; hoping it’s 100-120. This comment is unrelated to the article, but I really enjoy your website. I like your experimental approach, I’ve been reading at least a few articles a day. You are releasing a book from what I have gathered, is this a general health book with a summary of all that you have found up to this point? Joe, there’s a more affordable and convenient testing method for Vitamin D. Thoughts ? In Perlmutter’s “grain brain” book, he has a full chapter about vit D3 describing its benefits. But where’s the evidence or logic for his recommended 80-90 ng/ml? I’m skeptical. Always be skeptical by these monofocus books/physicians. Dr. Gominak, a neurologist from Tyler, Texas, discovered several of her patients with neurological disorders had best sleep when vitamin D (25OHD) level was between 60-80ng. She often did sleep studies on them. If anyone is taking vitamin D, I also recommend taking Natural Calm magnesium citrate, and vitamin K2 to help regulate calcium and prevent kidney stones. I don’t recommend calcium supplements and think calcium should be taken thru food intake. I was diagnosed with vitamin D deficiency with level at 7ng in fall 2012. I have taken between 4000-10,000iu D3 daily since 2012 and magnesium and vit K2 daily the last year. In March, my vitamin D level was 58ng. I don’t know how long I was D deficient. I have had allergy/respiratory problems since I was a young kid. I used to get sinus/bronchitis infections two to three times per year. Since supplementing with vit D, I have not had one respiratory infection except for two short duration minor colds of a few days versus several weeks of bronchitis. I have not taken an antihistamine in nearly three years. I hope to have my vitamin D level closer to 80ng by the end of this summer and plan to retest end of Sept 2015. I think a healthy D level range is minimum 40ng and probably in the 60-80ng range. 60-80ng in the summer and possibly closer to 40ng in the winter for those who do not obtain UVB rays during winter. Active D (1,25OHD) level has a short life period of 16-24hrs versus storage D (25OHD) at least two weeks. There is some value in knowing active D level. It is higher during stress, pregnancy, and ovulation. But knowing storage D is as important if not more important since its more stable. An observation of sleep improvement with vitamin D supplementation led to a 2 year uncontrolled trial of vitamin D supplementation in 1500 patients with neurologic complaints who also had evidence of abnormal sleep. Most patients had improvement in neurologic symptoms and sleep but only through maintaining a narrow range of 25(OH) vitamin D3 blood levels of 60–80 ng/ml. Comparisons of brain regions associated with sleep–wake regulation and vitamin D target neurons in the diencephalon and several brainstem nuclei suggest direct central effects of vitamin D on sleep. We propose the hypothesis that sleep disorders have become epidemic because of widespread vitamin D deficiency. The therapeutic effects together with the anatomic–functional correspondence warrant further investigation and consideration of vitamin D in the etiology and therapy of sleep disorders. When checking vitamin d blood levels, it’s important to check 1,25-Dihydroxyvitamin D, as that is the active hormone. The more commonly tested form, 25-hydroxy is the essentially the prohormone form, while 1,25 is the active form. Good point with vitamin D, but the most research has been conducted on the prohormone levels. He says CFS and fibro are th1 dominant conditions. Both are Th2 dominant conditions, especially CFS. Vitamin D is both an immune suppressor and immune booster. This site is simplified and wrong. I wouldn’t trust any information contained in there. Dr Cicero Coimbra uses extremely, toxic, doses of vitamin D3 that have to be monitored by a physcian trained in his protocol.